“Gardening? It’s not just for OAPs, you know. My bestselling debut, this is the gardening book reinvented for modern life. A book for people who want to learn to grow things, but haven’t a clue where to start. 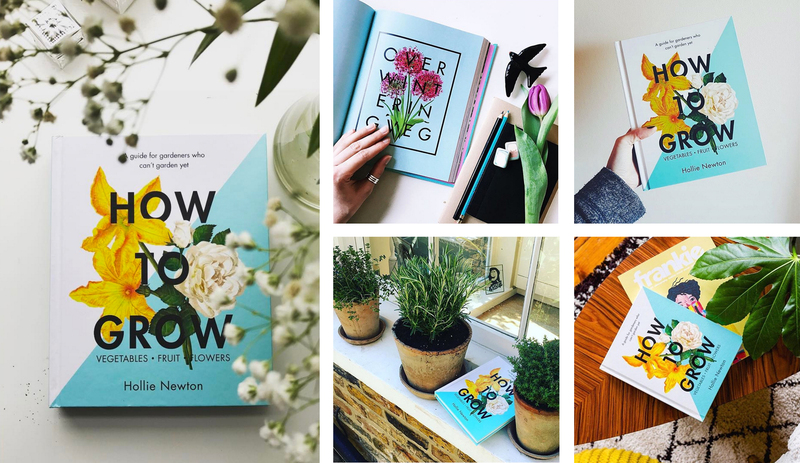 From your first ever wonky courgette to completely transforming a shady patio garden, HOW TO GROW will equip you with all the know-how and confidence you need to take your first steps into a lifelong gardening love affair – trowel in one hand, martini in the other. With chapters on easy-to-grow veg, fruit, herbs, salad and flowers (and delicious recipes to make the most of your harvest), you’ll also learn the basics of planning your garden, alongside stylish design ideas. Available in your local bookshop and right here on Amazon.